Congenital hearing loss is common, and about one-half of cases are thought to be genetic. Genetic hearing loss is typically classified as syndromic or nonsyndromic. When hearing loss consistently coexists with other pathologic findings, it is considered part of a syndrome; when it exists in isolation, it is nonsyndromic. As our focus is on systemic diseases, nonsyndromic hearing loss, which accounts for two-thirds of hereditary hearing loss, will not be discussed extensively. Mutations in the GJB2 gene coding for connexin 26 are now thought to account for over half of the cases of nonsyndromic genetic hearing loss (1). Nearly 100 mutations have been identified, some being quite specific to individual ethnic groups. Hearing loss tends to be moderate to severe, symmetric, and nonprogressive. There are no associated temporal bone malformations, and patients tend to do well after cochlear implantation. There are more than 400 syndromes associated with sensorineural hearing loss. 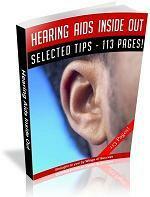 It is important not to confuse genetic hearing loss with congenital hearing loss. While genetic hearing loss may be present at birth, it may also appear later in life. The pattern of inheritance may be autosomal dominant or recessive, X-linked, or mitochondrial. A complete list of syndromes is the subject of complete textbooks; as such, several prominent syndromes with multisystemic manifestations are reviewed below. Pendred Syndrome. Pendred syndrome is an autosomal-recessive mutation of the PDS gene, thought to encode a chloride-iodide transporting enzyme (2). Manifestations include a euthyroid, multinodular goiter by the second decade, congenital deafness, and an abnormal perchlorate discharge test. Temporal bone imaging typically demonstrates a Mondini-type cochlear malformation in which the cochlea is incompletely formed. Jervell and Lange-Nielsen Syndrome. Jervell and Lange-Nielsen syndrome is marked by bilateral severe sensorineural hearing loss in association with electrocardio-graphic evidence of a prolonged QT interval and syncopal attacks during childhood (3). Sudden death may occur. Inheritance is autosomal recessive. Alport Syndrome. Alport syndrome is predominantly X-linked, although some cases are autosomal recessive. It is the most common cause of hereditary nephritis in the United States and is marked by progressive high-frequency sensorineural hearing loss, hematuria, and ocular malformations. 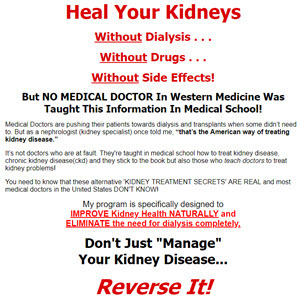 Symptoms appear during the first decade, and all males progress to end-stage renal failure. The mutation involves genes encoding type IV collagen (4). Branchio-Oto-Renal Syndrome. Also affecting the kidneys is the branchio-oto-renal (BOR) syndrome with renal anomalies, multiple branchial cleft cysts, fistulae and sinuses, and hearing loss that may be purely sensorineural but is typically mixed. External-, middle-, and inner-ear malformations are common. BOR is autosomal dominant and caused by mutations in the EYA1 gene (5). Neurofibromatosis Type 2. Neurofibromatosis (NF) type 2 is a multisystemic disease resulting from mutation of the NF2 gene (6). Inheritance is autosomal dominant, although half of the cases represent de novo mutations. Bilateral vestibular schwannomas are the best-known feature of the disease. Patients most commonly present with unilateral sensorineural hearing loss, but bilateral deafness eventually develops. Dumbbell-shaped spinal cord schwannomas, intracranial meningiomas, other CNS tumors, and "juvenile cataracts" are also associated with this syndrome. Notably absent are the cutaneous manifestations of NF1 (i.e., café au lait spots, axillary freckling, and cutaneous neurofibromas). Rarely, NF1 can involve the eighth cranial nerve. Mitochondrial Syndromes. The mitochondrial syndromes are a fascinating set of diseases, and sensorineural hearing loss is a common component. Mitochondrial DNA forms a closed circular molecule similar to that seen in prokaryotes and codes for 13 proteins, mostly involved in oxidative metabolism. All the mitochondrial DNA in an individual is inherited from the mother, because the oocyte contributes all of the cytoplasm and organelles to the embryo. Male and female offspring are affected equally. Penetrance of mutations is complex, because there are about 100,000 copies of the mitochondrial chromosome in each cell (as opposed to only two copies of each nuclear chromosome). The A1555G mitochondrial DNA mutation is associated with nonsyndromic hearing loss and an increased sensitivity to aminoglycoside toxicity. Hearing loss may develop several months after administration of the antibiotic and is thought to account for up to one-third of aminoglycoside-induced hearing loss (7). Mitochondrial encephalopathy, lactic acidosis, and stroke-like (MELAS ) syndrome is characterized by strokes and encephalopathy at an early age, myopathy and metabolic acidosis, recurrent headaches and vomiting, as well as other systemic manifestations (8). A bilateral symmetric, progressive, high-frequency sensorineural hearing loss is seen in 70% of the patients. In maternally inherited diabetes and deafness, hearing loss precedes glucose intolerance and both tend to occur in adulthood (8). Kearns-Sayre syndrome is characterized by progressive external ophthalmoplegia, cardiac conduction abnormalities, retinitis pigmentosa, and ataxia. Onset is before the age of 20 and sensorineural hearing loss is seen in 60% of the cases (8).